How many guys like Dotson does the nba need? Aren’t they pretty much stocked with super fast guards of his height (or taller)and overall skill set? @Blown Well compared to anything else, it appears we may have to hang in there …( maybe the chiefs will win the super bowl next year… ? ) there are still players who come here for the right reasons… there still is SOME good. Dook, Kentucky and North Carolina did not even make the final four. !! (Trying to cheer you up…) The greatest OAD in many years, Zion the Marketable, with a STUD cast around him, couldn’t put dook in the final four. Self said he is more energized than ever. Let’s see what kind of coaching and leading he can pull off now. I doubt too many top 25 kids will pick us what with the ncaa cloud. F em… We still have some KU guys who will most likely play 3 or 4 years… we will get to see them at senior nite !! Let’s go get hungry guys who will bleed crimson and blue. No more Grimes types, PLEASE… a 19 yr old who has been given spectacularly bad advice from his fam and circle. I’m in 100% ageeement. Welcome to the G league Quentin… at best. Here’s betting that he will never see a full season on an NBA court. When self and the staff go recruiting, listen to the messages coming from the family. and if it’s all about playing their kid playing pro ball as fast as possible, move along. 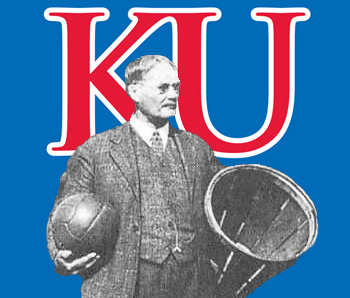 Question for the board- what your take on the Lawson’s now that their one-year stint at KU is over… how will they rank for you as the years pass… how would you assess their impact on the current program. For me, Dedrick was pretty essential in winning games, because of the weird year we had with no doke, no desousa, the second disappearance of Vick (will we ever find out the full story in that?) but… he always just seemed like he was doing his thing, forcing as many shots as he was scoring them, and he never felt like a team leader type. I never sensed that playing for KU for him was a big deal vs any other decent program. I never got the Love-for-KU vibe very much from him (and does that really matter?) He behaved exactly like a guy who knew all along he was here for one year, showcasing his skills in a marquee program before going pro. That is the new reality. He certainly won games for us for sure. kJ? I wanted to like him… he seemed a bit lost at times, but got better as the season wore on. He must have known all along it he was here just a year as well. Mercenaries comes to mind. Come on grimes… do it. Leave… listen to all your people and parents… ones who’ve been telling you how great you are, your POTENTIAL… you are N.B.A. … materiel dammit!!! Self was and is making you play in ways that are NOT conducive to your development, all that emphasis on defense and switching and setting picks and passing… these really are not needed in the NDA (the NoDefenseAssociation) that is your goal. You are wasting your time here. Selby is by far my least fav player ever to don a KU Jersey, and grimes, you will be very close second. Do it!! I will follow your career thru whatever league you end up in… and however long you can manage to play for whatever $ you can make. Just leave KU so we can get someone who actually WANTS to play ball for KU, wants to invest their selves in college and the program. On Dotson- correct me if I’m wrong, but isn’t the nba already overstocked with his type?? RE: The Racket Bracket...sans Texas Tech. As to the current four teams in the final four, seems like 2016 were key recruiting years for these clubs according to recent espn article. Teams with experience on them in other words, mixed with transfers and freshmen. Not sure any of these teams were overload with OADs (like duke or Kentucky … btw so glad they are out, along with North Carolina). And of course, these guys are all playing well right now (timing) and playing with chemistry. I watched all the games this past weekend, and it was clear why they are in the final four- just flat out good basketball. Better level than KU had played at least since like January in my hazy recollection. We would have heard more rumblings if Self were in trouble. He is indeed full of piss and vinegar. Now is Hurt a OAD?